Politicians and healthcare professionals continue to discuss the issue of healthcare costs and what variables can be manipulated to bring down prices. This article in The New York Times notes that rebates are the most recent variable under scrutiny. 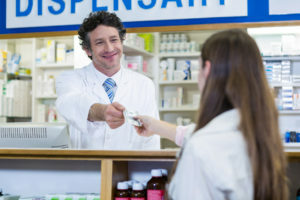 A rebate is a discount associated with certain drugs where money is given back after payment. Critics believe these rebates are leading to increased list prices that consumers are responsible to pay for, while the insurers or large employers who cover their workers’ health care are usually the ones that get the refund. Between the drug makers who feel they are under pressure to raise list prices to keep all players happy, elected public officials, and pharmacy benefit managers who argue that they have kept the total drug costs in check and prices aren’t as “steep” as believed, everyone is pointing fingers. Read more for details. This op-ed piece in the New York Times, along with many of the reader comments, are well worth reading. Obesity is a global public health emergency, and likely has greater impact on the state of U.S. health than tobacco use has had at its worst. I find myself musing on the similarities between the public’s approach to obesity and global warming, another topic that many choose to doubt despite metrics that suggests its truth. Like the warming earth, the fact that as a society we are getting fatter should be impossible to deny. The causes for this growing obesity problem, or whether or not there even is a problem for individuals or society, however, are debated. Related steps to address the problem are also heavily argued. After all, the growth in our girths is a new normal, while folks rail against airline seats rather than confront those of us who can’t fit into them. The writers of this article, a pediatrician and economist, have a number of suggestions heavy on public policy changes and government intervention. Suggested changes may be desirable, but to be sure, they will at minimum take time to implement and most likely be heavily fought by well-funded lobbies and public outcry. These policy changes will do too little and be too late for those currently afflicted. Unfortunately, the authors say virtually nothing about individual contributions to the problem (without doubt aided by the seduction of cheap and ample calories), and choices that we can and must make on behalf of ourselves and our families today. People can’t wait or hope for government to change how much and what we choose to eat. What once seemed like an innocent slobbery kiss from a dog now has the nickname “the lick of death.” Capnocytophaga canimorsus is a commonly found bacteria in the saliva of healthy dogs and cats. In most cases this bacteria is not harmful, but in rare cases this bacteria can get into the human blood stream and cause death. Greg Manteufel has survived the lick of death, but not without serious losses. At the beginning stages of the infection he thought he had a fever or the flu, but then he became delirious and dark spots started covering his body that looked like bruises. His wife rushed him to the hospital and within a week, Greg had lost his legs and hands. For the full account read this article from the Washington Post. Here’s some exciting health news to kick start your weekend: for the first time, scientists have found a way to lower risk of dementia. Dementia is primarily affected by genes and age, both of which are out of our own control. It has taken years for scientists to find a variable related to dementia that humans could change. This variable is blood pressure. Through a study, more than 9,300 elderly people who had heart problems, or were prone to developing heart problems, were asked to lower their blood pressure to either 120mmHg or 140 mmHg. 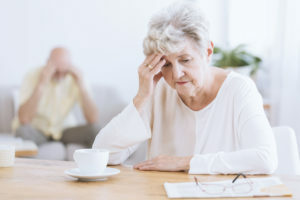 The study found that people who lowered their blood pressure to under 120mmHg also lowered their risk of mild cognitive impairment (MCI), which is the gateway to dementia. Because the subjects were only studied for five years, doctors can only conclude that lower blood pressure will reduce the risk of MCI. Dementia takes a lot longer to develop over time, so scientist can only infer that it will lower the risk of dementia, and this secondary finding will need to be tested in the future. According to this article, the future is a little brighter as we now know that lower blood pressure leads to healthier and stronger brains, and that keeping blood pressure under control may be a way that some people can slow the deterioration of the brain that can lead to dementia and even Alzheimer’s. It is common knowledge that exercise burns calories, and burning calories will help people lose weight, but this article discussing a recent study done by scientists at the University of North Dakota and Kentucky found that losing weight is also determinant on how much time you spend exercising. For years the average recommended exercise time has been 30 minutes a day. These scientists put this to the test by inviting 31 overweight, sedentary men and women to take part in their study. 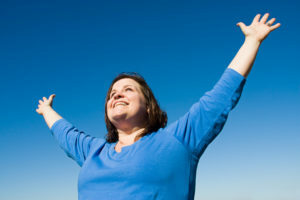 All of the participants didn’t intentionally change their diet, they only changed their exercise habits. For four months, half of the individuals exercised 30 minutes a day and the other half exercised an hour a day. At the end of the study they found that both groups compensated for some of the calories that they burned by eating a little more. 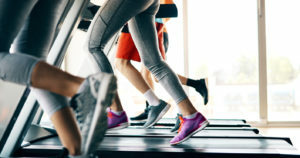 The group that only exercised for 30 minutes burned 1,500 calories in a day and only had a 500 calorie deficit because of the slight increase in their calorie consumption, but those who exercised 60 minutes a day burned 3,000 calories, and still had a deficit of 2,000 calories deficit. Dr. Kyle Flack, an assistant professor at the University of Kentucky, who conducted the experiment as part of his graduate research, concluded that people can lose weight through exercise, but thirty minutes is not enough in order for most individuals to see a weight loss difference. Unemployment rates fell to 3.8 percent in May, 2018 – an 18-year low — and the number of disability insurance claims and number of Americans seeking Social Security disability benefits is also dropping. Specifically, per government officials, fewer than 1.5 million Americans applied to the Social Security Administration for disability coverage in 2017, the lowest number since 2002. Applications are running at an even lower rate this year. 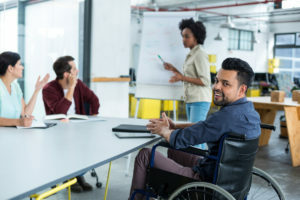 This article explains that because the economy is strong and maintaining steady rates of growth, employers are more willing to hire people from a diverse labor pool — including those with disabilities — and to make accommodations with job functions, pay, and other expectations. The strength of the economy also sparks a more optimistic attitude among people with disabilities searching through available opportunities. Some other factors have also influenced this shift. One of these factors driven by basic demographic shifts is that as aging baby boomers receive Social Security retirement benefits and Medicare, they no longer require disability benefits. Additionally, because of the expansion of Medicaid in 33 states and the District of Columbia and the improved access to insurance coverage under the Affordable Care Act, the disability program has become a less obvious way for people to obtain health care coverage. A final factor the article identifies is that it is simpler hard now to qualify for Social Security benefits than it was in the past. One case study explored in the article is that of Christian Borrero, who had been receiving Social Security benefits throughout his adult life. He was offered a full-time job as a receptionist at Kurtz Bros, an amazing opportunity for full-time work with benefits, but also one where he would be earning less than his disability income, to the tune of $895 per month. Borrero chose full-time employment and as expected, his Social Security benefits emded. 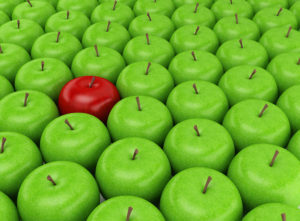 When his employers found out about his situation, they modified his position to include additional responsibilities, thereby raising his pay to cover his otherwise lost income. Although this wouldn’t happen in every case, Mr. Borrero hopes to inspire others with his story. In the United States, the number of babies born with neonatal abstinence syndrome has increased 123 percent from 2009 to 2014. This syndrome happens when women inject opioids during pregnancy. In the year 2014, 30,445 babies were born addicted to opioids and spent the first months of their lives battling withdrawal symptoms such as tremors, irritability, sleep problems, and high-pitched screaming. The question most doctors and mothers ask is: how will neonatal abstinence syndrome effect the baby physically and mentally in the long run? This article sites a study where researchers tracked nearly 100 children and their mothers for 36 months. Hendrée Jones, the executive director at UNC Horizons and the co-author of the study, expressed that there were reasons to be optimistic about the children’s fates. “The children through time tended to score within the normal range of the tests that we had,” Jones said. Dr. Stephanie Merhar, a neonatologist at Cincinnati Children’s Hospital, researched this topic and after studying 87 infants, she found that the children were testing within the normal range of development; she also noted, though, that the risk of serious delays is still very high, and children need to be monitored closely because the long-term affects are still unknown. While a cause and effect correlation cannot be established yet, Dr. Lauren Jansson, the director of pediatrics at the Center for Addiction and Pregnancy at Johns Hopkins School of Medicine, believes that the most promising treatment for children who are exposed prenatally to substances is to treat their mothers to overcome their own addictions. I am delighted to announce MCN’s acquisition by Mitchell International (www.mitchell.com), a leading provider of expert workflow and adjusting solutions, including cost containment solutions to the Property & Casualty industry. Follow this link to read the press release. Our organization began in Seattle in 1985. Over the past 33 years, we have evolved both internally, in the development of our professional staff, and externally, in the success of our clients and growing customer base. We have decided to partner with Mitchell because we believe that a larger organization we will allow us to take our performance to the next level in providing a deeper and wider array of services. Our combined teams of talented individuals will work together to create greater value for our customers. As you many of you already know, Mitchell shares many of the same goals as MCN, including our commitment to providing an exceptional customer experience. The culture is very similar between the two organizations as we focus together on finding the best solutions and delivering superior results. I strongly believe that through this partnership with Mitchell, we will further accelerate our expanding position in the independent medical exam and physician peer review market. It is our vision that by combining MCN’s leading medical review solutions with Mitchell’s data and analytics capabilities, customers will experience an improved user experience and a simplified IME and peer review process. MCN will become part of Mitchell’s Casualty Solutions Group division. Together with the entire Mitchell team, we will continue to deliver the same great service that our customers have come to expect over the years. I share this news with you on our blog for general public interest while we also reach out individually to our clients nationwide. SAN DIEGO, CA (June 6, 2018) – Mitchell International, a leading provider of technology, connectivity and information solutions to the Property & Casualty (P&C) insurance and Collision Repair industries, announced today that it has acquired Medical Consultants Network (MCN) – one of the nation’s largest providers of independent medical exam services in the United States. With the close of the transaction, Mitchell will now have the opportunity to integrate its industry leading bill review systems with a leading national independent medical exam (IME) provider, to improve the end-user experience and simplify the IME and peer review process for claims professionals. The combined Mitchell and MCN solutions will leverage extensive claims datasets and analytics to develop innovative decision support and risk scores to aid in the identification of claims in which an IME or peer review may be appropriate. This strategic acquisition will give Mitchell and its customers access to an extensive national panel and network of providers – nearly 13,000 physicians with over 17,800 provider specialty-jurisdiction combinations to perform IMEs and additional review services for the auto and workers’ compensation industries, adding expertise to support Mitchell’s customer base of employers, insurance companies, state funds, third party administrators and managed care organizations. The combined solutions are designed to reduce the claims professional’s administrative burden in transmitting IME and physician peer review referrals, as well as incorporate claim decisions into the bill adjudication process for improved compliance and enforcement. Additionally, Mitchell plans to leverage its clinical expertise to help claims professionals identify what important medical review issues to address in the examination and review process. With more than 30 years of clinical and independent review experience, MCN helps payors achieve significant and measurable clinical outcomes through its high quality services. With its longstanding history of providing expert review services to a broad range of customers in the workers’ compensation, auto, liability and disability and group health industries, Mitchell is excited to continue MCN’s level of service and provide expanded capabilities to customers. The acquisition of MCN is Mitchell’s latest strategic investment in its commitment to creating better outcomes for customers, while building upon its existing industry-leading casualty claims expertise. Bailey Southwell & Co. served as the exclusive strategic and financial advisor to MCN on the transaction. For further property casualty and collision repair updates and perspectives, follow Mitchell on Twitter @MitchellClaims and @MitchellRepair. Headquartered in San Diego, California, Mitchell International, Inc. delivers smart technology solutions that simplify and accelerate claims handling, repair processes, and pharmacy transactions, driving more accurate, consistent and cost-effective resolutions. Mitchell integrates deep industry expertise into its workflow solutions, providing unparalleled access to data, advanced analytics, and decision support tools. Mitchell’s comprehensive solution portfolio and robust SaaS infrastructure connect its customers in ways that enable tens of millions of electronic transactions to be processed each month for more than 300 insurance providers, over 65,000 pharmacies and 30,000 collision repair facilities, as well as countless other Property & Casualty industry supply partners across the Americas and Europe. For more information, please visit www.mitchell.com. Medical Consultants Network (“MCN”) was founded in 1985 in Seattle, Washington, and provides medical review services including Independent Medical Examinations and Physician Peer Reviews. MCN created the first national network of independent medical providers and today serves workers’ compensation, disability, auto and group health clients in all fifty states and Canada. MCN is deeply committed to understanding our clients and their needs to provide the highest level of personal service possible so that each of the reports we deliver is fair, accurate and timely. Our clients know that we view each case and the people impacted by that case with the respect and dignity they deserve. Five men in New York have now been caught as the ring leaders of a federal indictment and insurance fraud in New York. These men recruited individuals to stage “slip-and-fall accidents” in order to fake injuries. The injuries then led to legal and medical appointments with enlisted doctors, lawyers, and finance companies who followed along with the con. Countless unnecessary procedures were done, racking up medical bills for insurance companies to pay. Peter Kalkanis, the leader of this scam, would coach plaintiffs on how to fake their injuries convincingly. The State has since revoked his license. At Medical Consultants Network, we believe in the power of a second look. Our providers across the country complete examinations on claimants and injured parties, many with disabilities or work-related injuries. Some injuries are severe, some examinees recover after months of treatment, and some situations are quickly resolved. It’s the power of the second look that helps our providers make unbiased observations, conclusions, and recommendations on our claimants’ conditions and prognoses, and our staff to apply high standards at each step of the process to deliver evidence-based reports.